Richard is a native of Michigan where he attended Northwood University. At Northwood he obtained a BA in Mangement. He furthered his studies at Chadron State College where he earned an MBA with a focus on Organization Management. He has been fortunate to have worked in such well known cities as Seattle and Orlando. He has also spent eight years in China where he taught Accounting for the Monash University Bridge program. 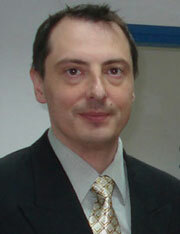 He also taught for Raffles University System in Beijing where he was the Program Director and taught business studies. While in China he lived in Beijing, Hangzhou, and Shanghai. In Beijing he was the host for the annual Raffles Fashion Show in 2011. In 2013, he joined PIESG as a partner.